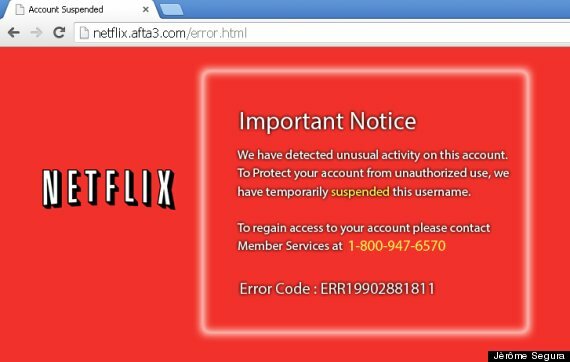 Users being targeted by the scam will see a phony webpage modeled after the Netflix login page. When a user enters Netflix account info, the scam site claims that the user’s Netflix account has been suspended due to “unusual activity” and then provides a fake customer service number. When the user calls that number, a representative on the phone recommends a download of “Netflix support software,” which is actually remote login software that gives the scammers complete access to your computer. The scammers may also ask for copies of photo IDs or credit cards.